Vertical blinds are one of the most stylish and convenient types to install in modern homes. The adjustable blades make it easy to achieve a comfortable balance of cooling and light, as well as providing greater privacy potential. Blinds, when fully closed, do just what their name implies, shutting out most of the light, which helps keep the interior of the room cooler and darker. How much light is able to penetrate depends on the material the blinds are made from, how much they overlap the edges of the window, and how much they are offset distally from the window. 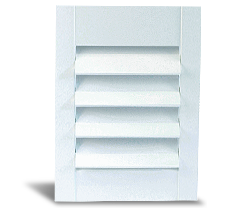 It is widely considered that the best material for a vertical blind blade in terms of energy efficiency is a glossy white sheet of powder coated polyester. This will reflect virtually all light that strikes its surface. The reason you won’t see many of these ideal blinds is that they don’t look especially good. 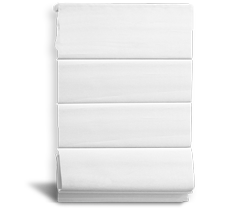 Another very good material for making vertical blinds is PVC. This time, instead of reflecting the solar energy, the idea is to absorb it and trap it inside the wood. This works because wood is a poor conductor of heat. The reason you don’t see many vertical blinds made from wood, even though it’s a top material for the job, is because they cost quite a bit, they’re one of the heaviest materials, and they tend to be noisy when there is a strong breeze blowing on them. Much more common are specially treated strips of textiles, and also sometimes PVC plastic may be used for the blades. PVC works fairly well, but it is not as reflective as glossy aluminium, and it also heats up faster than wood. 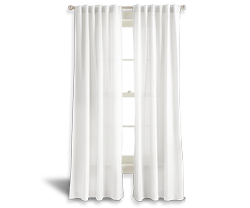 Vertical blinds made from fabric may have a tendency to allow more light to pass through them, but the light will be sufficiently weakened that it will not produce much heat energy. The goal of a vertical blind is to impede the entry of light into a room, which in turn reduces the amount of energy that can be converted to heat energy, and reduces glare from bright sunlight. Blinds are also useful at night when there is bright artificial light outside the window. Using blinds is important during the hotter months when you live on the Gold Coast. Without this step, your energy costs for cooling will be very high. 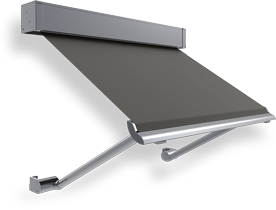 You can further enhance the energy saving effect by also using awnings to reduce the intensity of solar radiation before it even reaches the window surface. You will always get a better deal at Sheeview. We are your local experts on all things related to window furnishings, and we’re always happy to help our customers with advice and whatever assistance they may need to make sure they get the right blinds to suit their needs.